I have had the distinct pleasure of meeting Mardy during presentations of our ministries at a church festival back in 2013. To say he was an additional inspiration would be limiting. How wonderful it is that God is using us to serve in the many fields of His Harvest. 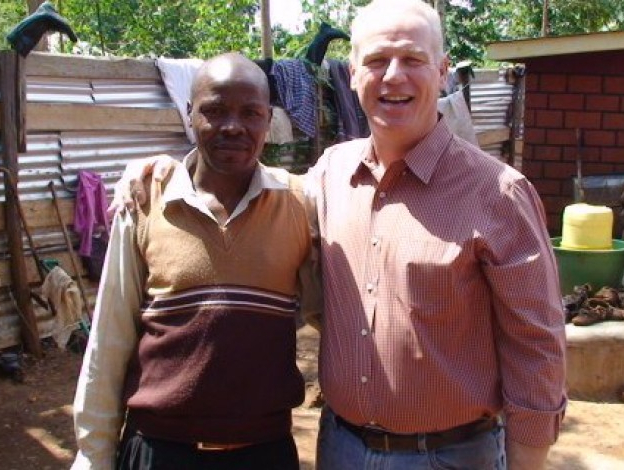 While we serve in rural India, Mardy Cobb has been faithfully serving the congregations in Kenya, Africa. His report following showcases the wonderful work God has allowed him to accomplish with the love, prayers and support of so many faithful Christians here in the West. As night continues to quickly fall upon the world, let us continue to work in the Lord’s Fields while there is still daylight for us to work. I want to thank you all for your support of our orphans, and our school (Wisdom Academy) in western Kenya. Your financial contributions and your prayers have done much to help change the lives of these children. God bless you greatly for your kindness and good works. May God keep you strong and protect you and your loved ones for your faith in Him and the exercise of true religion. We have been blessed to have some wonderful children put into our care. Kenya, as you may know, administers national tests to all schools and school children. Based on the scoring in these tests, schools are ranked. The testing is, of course, measured against the Ministry of Education’s national curriculum. Our school resides in a western county of Kenya named Kisii. This county (Kisii) has 1560 schools within it. Inside the county are several districts. Our district is called the Gucha District. Our school has been progressing well from its very beginning, and we have additional improvements to report. Wisdom Academy is ranked as the 6th highest school in the county, and we are ranked as the number 1 school in our District. Because of God’s blessings allowing us to reach this achievement, we are now routinely called upon to give advice to both schools and orphanages in Kenya. It is a testimony to God’s answering our prayers for blessings of favor in the eyes of those we work with and for. God is good. Please pray that God would open more hearts to be as generous and kind as all of you have been. If you know someone of a kindred spirit, you might consider mentioning our effort. You can give them our website to review particulars (www.cogrescue.org). Peace , mercy and grace from our Father God and His son our Elder brother Jesus Christ be unto you, your family and our family of faith. Please allow us to trust that this letter will find you doing well and that the hand of God is upon you. As always may all of our family of faith members know that we do make mention of them in our prayers. We love you brother and respect you always and all who have taken our burden into their hearts. Thank you for the messages that are of great encouragement to the family of faith. Am writing this e-mail to express our heart most thanks to all of those who put aside their personal needs and gave to the orphans, school and teachers. May I say that the seed you sowed here and the watering of love we are experiencing from you day by day has indeed done a lot. We don’t have enough words to thank them but with our limited words we say thank you and may God bless you all. God bless you and thank you so very much for your sacrifice, and for putting others before yourself.